Wedding photography is no more a niche now. Just google for a wedding photographer and you will get thousands of them there itself. With the increase in the number of wedding photographers, there is an increase in the competition as well. So finding work or more clients for a wedding photographer is a tricky job, you being a wedding photographer have to be abreast with the changes which take place on and off in the business, whether you are a freelancer or a start-up or a renowned wedding photographer. Who would not want to hear, “I went through your gallery and I loved it a lot and want to have you booked for my wedding too.” Would you mind if someone come to you and tell you all this, I don’t think so, you will off course love it, not because it is a potential client approaching you but the work in your gallery is so splendid that people like it, you have done a real great job. We all as a wedding photographer want to hear all this, that I loved your work when you covered my friend’s wedding, I too want the same work, all these compliments are not just the compliments but these are value for our work. Clients evaluate a photographer on the basis of his/her work, even the referrals don’t do wonders if your work is not great. If you are among those who are struggling on how to get clients or want more clients, worry not!! 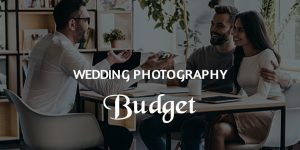 Here are 26 wonderful tips or pointers which can definitely help you to have good amount of client base for your wedding photography business. Photography is a job which requires dealing with only and only people, it is implicitly a people oriented job. How you behave with your clients’ matter a lot. You might have heard stories about the bad behaviour of other photographers, you may a great photographer of a particular genre, you may be the best in your town but how you behave with your clients will fetch you work either or not. If you have a habit of throwing bad tantrums and using harsh language then negative word of mouth is what you will get which will affect your business for sure. Hence, the first thing which you should do to get more and more work is to learn to be polite, photography is just not a profession it is a passion, if you have chosen this for your bread and butter then for sure it must be your passion in the first place. Any art on this earth needs people with huge patience, and photography is one of them. How you serve your customer can either make or break your name in the industry. Only great images and marketing is not enough for your survival in the industry. Without unflagging customer service, those referrals won’t come your way. Your job is to make people “feel.” If you are a photographer who doesn’t respect time and deadline, why would another client come at your door? THINK, THINK… Give it a thought. If you are the one who keeps his client chasing him, who always use a rough tone, or a grumpy person…? All these attitudes doesn’t go well in the Industry, nobody is ready to take delays, rough tones or anything as they know there are many. It’s not about just few photographs, it’s about your overall behavior and work, your work is customer centric and your client or customer is king. Value your king. It’s a simple equation “client recommend client,” based on how have you been with them. While a client comes to you and you in super excitement without listening to him completely ignore what he said to you, that’s not going to work in your case. Your first job is to know what exactly your client is looking for you. Before booking a client, please mind to listen to their requirements in detail. You might have shot great weddings, you might be a great wedding photographer of the town, but every client has diversified expectation and diversified requirement for his/her wedding altogether and you need to respect that diversity. Always keep in mind the pointer before this “customer is king,” they love to be heard. In photography, anything unexpected can happen any moment, as this is how it is. Things do happen, like you completed a wedding shot and the deadline to deliver the final product is delayed due to some unexpected event at your end. Now what??? It can’t be the end of your profession off course. In such a situation communicate with your clients the reason for getting delayed. Mind you, if you are the one who keeps things clear with his clients then your client will never despise you for your honesty for sure, they also know that things do happen sometimes sudden and unexpected. When a client approaches you for the booking, first thing besides showing your gallery or work is know your client well, know what exactly they want, when is the event, where the event is taking place, how many days you have to cover. Know all the details of your client also tell about your way of work clearly. Don’t forget to take the number of a point of contact at the wedding to have a smooth flow whole day. Make everything clear in your first meeting itself. Things should not be hazy from any end. Being in customer centric profession, to build great connections with your client can help you get leads in future too. Building connection with your client not only helps in getting wonderful shots at the event but also help you grow your business in future. People help people when they feel connected. To have that connect you need to build it with your customers. Networking with people, with guests during the event and letting them know you is no harm, while clicking their candid pictures you can always have a chance to chit chat a bit with them. Understand people at the wedding, saying nice compliments in between is good for you, tell the girl how beautiful her dress is, and don’t forget to compliment the boy for his great dressing sense too. All these compliments will help you start the conversation with them. You always have choices, you can give them all those old-aged ordinary shots or you can be a little creative and get them the shots which they never even dreamt of having. People love when you exceed their expectations. When you give them something extra and better, they will definitely remember you whenever they will flip their wedding albums. When you exceed their expectation you actually tempt them to come back to you for the next wedding which is planned for the coming winters. Then you leave them with no choice except to have you to shoot the other wedding too. Wedding photography sometimes could be a pain, when your client start to complaint about everything. Sometimes the reason could be genuine but not always. SO, whenever you find someone with an attitude problem, making complaints for no reason, you need to be very clear at that point only, if you will not do something in the beginning it will continue to happen until the delivery of the final product. It is good to annihilate them at the very first step. A wedding photographer has too much to offer to the client. He always have the prerogative to have his own rules when it comes to deliver his services. It’s just not about accomplishing a task but to give the best to the client. My photographer friend always go by his rules. 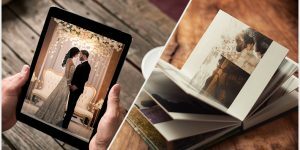 He takes lot of pain to deliver the best of the services to his customers so that when they flip their wedding album they do not regret the decision of hiring him in the first place. Don’t tell you don’t… Today when everything is online, people surf their net more than anything now, the first thing they do the moment they get their wedding dates in hand is to search online for all the wedding vendors and wedding photographers are one of them. Make sure you exist online, that will make a huge difference in your life as a photographer. And if you don’t then have a website of your now. Where will you put all your pictures, your gallery in your website is the first place where people visit to see your work for making further decisions? Wedding photography industry keeps on changing, what you were capturing yesterday you might not be doing today, updating your galleries is an indispensable part of staying relevant. Place the best ones in your galleries on your website and blog, and make sure that you have the best images on your homepage. Doing this, your chances of getting hired get high. When a couple flip through your website they just not see pictures but do visit your price page too in your website. Price page in your website is one of the most important pages to make a decision whether to hire you or nor. You should have a specific pricing model which is simple and easy to understand, which can help the client to at least make a call to you to know about your services further. Having simplified pricing for your photography business help you create clarity for your clients. Your simplified package strategy can help you get more business online. Search Engine Optimization, a very important tool. You must have heard of this term many a times. Believe you me, it plays vital role in online marketing of your business. The ranking of your website depends on this a lot. I assume you know what is it? When a client searches for something say for a wedding photographer he will put some keywords on that base google will present few results and it is often seen that clients only visit websites which come in two pages they don’t even bother to visit the third page. Hence, make sure that you pay a close attention to SEO search engine optimization. While placing targeted keywords your goal is to appear on the very first page of the search. If you rarely pay attention to SEO, it highly likely that you lose out on clients who are actively searching. Focus on targeted keywords for your website, blog, etc., this is a great way to get business online. If you incorporate the product specified targeted keywords on your website and blog, it will not only increase your ranking but also your chances of getting good business online. Social media famous world-wide, it is one of the tools to market your product, a very famous in fact. Social media make it easy to showcase your products. You can create your page on Facebook or any other platform, share it with your past clients, friends, family ask them to share your page with others. Chances of getting business from here are also high. You can also join groups to promote yourself across your people and others too. Showcase your brand on social media as much as possible, make your followers know about you and your brand by communicating regularly, putting updates, posts of your new clicks, etc. Well, blogging is an ideal way these days to stay connected with your wedding clients. Keep posting new articles on your blog related to the photography especially wedding related, this way you will be able to invite potential clients to view your work. The best way to stay connected with your clients is share great content with your clients along with the latest and wonderful photographs you have captured, just showcase your work with the world and get the clients. Your blog posts make it easy for clients to know about you and your classic work. Besides writing for your own blog you can also write content for other websites also called ‘guest blogging’ it can help you exponentially, to get more photography clients through other websites. Guest blogging is a common tool these days, it helps you connect with the vendors you write for, also increases your reach by reaching their audience. Like this you have prerogative to share your mind with the new readers and form connection with them. Adding plugins to your blog posts help your followers share your content across social media with their connections. This way you can have new people in your contact as it gives an opportunity to those also who are not your clients when they view your blog they get to know about you and if they like your work they will surely want to connect with you to hire you for the wedding. Basically, you never know which process will help you in getting new clients, it’s always good to leave no stone unturned for having a successful business. If you wish to attract clients, you need to be unique, you need to know how you’re different from others, how you’re unique from others. 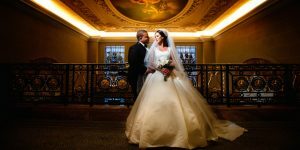 In this era of cut throat completion it is essential for a wedding photographer to be unique in all perspectives. 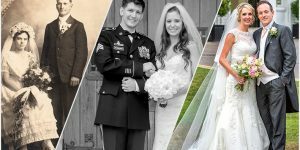 There are many wedding photographers in the market already, but what makes the difference is your work which I unique from others. As a wedding photographer, your style should be different from others in the industry. It’s just not enough how many years of experience you have, along with that what matters the most is your uniqueness in the sector. You must have made many couples smile by now, by capturing their best wedding pictures. By making their special occasion wonderful for lifetime, by giving them the best memories to cherish throughout their life. Be in touch with them, wish them their anniversaries, birthdays, welcoming of their first child and much more. There are several occasions when you can be in connect with your past clients. Also, to raise your client base give them a complementary photo shoot of their first child, or may be their house warming party. This way you would be able to have a nice rapport with them and then why would they choose anyone else for their sister’s wedding or they will surely recommend you to their friends when for their wedding photography. Wish them special occasions and festivals, send them cards, gifts or that will keep you connected with them. 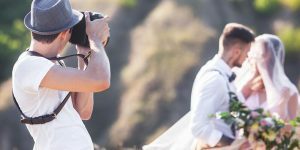 As a wedding photographer, you not only need to stay connected with your past clients but also to the wedding vendors, wedding vendors can be a great source of business for you. You need to create great relationships with them too so that in future they should feel free to recommend you to their clients. Also, develop connections with new vendors too to expand your presence in the market. Following up with your client can help you find or get new clients in the market. ‘People recommend people’ works in photography industry very much. The best part of staying connected with your clients and vendors is to have lifelong referrals from your connections. Why would they go for someone else when you exceed their expectations in all their special occasions? Some photographers literally become ‘family photographer’ for few families they become so close to them that they don’t even want to think of any other photographer for that matter. It’s like both client and photographer start to understand each other very well. Well to have competitive relations with the peers is not always needed. Sometimes, having good relations with the parallel photographers and other photographers in the industry will help you get clients. Also, it gives you an opportunity to learn from them. You may have a different style of photography but their style can be more appealing which you would surely want to learn and learning is only possible when you share good relations with the other photographers. Hence, have good peer relations it will help you improve your skills in a better way. Besides learning you can also get good referrals from them. As a photographer, you have myriad of options to stay connected with the other photographers. Online community of photographers is one such option for you to go ahead with. Online you can find numerous such communities to join. Joining these communities will not only help you learn their skills but also having good connect and constant participation can give you a presence amidst them. There are various competitions keep on happening world-wide you can always enter your photos in any of such competitions. 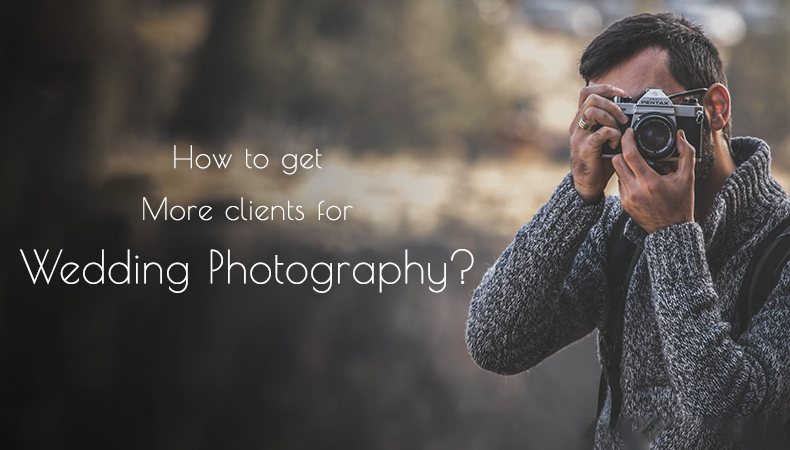 It will help you to network with other photographers along with that you would be able to achieve your goal of getting new photography clients for your business. Upon participation in such competitions you fine-tune your skills and can become a better photographer to present your clients the best of the best work. Photo competitions, allow you to share your work and get genuine feedback on your work, you can know the area of improvements and can make necessary improvements in your photography styles for the life time. Constantly evaluating your work can help you become a better photographer, remember that there is no end to learning and improvements in one’s life and photography is an art which keeps on evolving daily in a better and new way. You have stay abreast with the pace. Learning the art of selling is another way to get new business, new clients. To some the only thought of in-person sale is quite scary as they find it difficult because they believe that selling is not their cup of tea. But as we all know the level of competition is increasing and hence to be well equipped in such a situation can be best for you. At first it may seem scary but in actual it is not you just have to learn the art of sale approach and showcase your best of the best work to the prospects and tell them how you can give them the best of their memories to cherish forever. For that you need to have a beautiful album handy, so that you can showcase it to the prospects. Those who can master this skill of in-person sale can grow exponentially in the field and can get new clients easily. And rest your work will do for you, once you give them the best photographs they will refer you to their connections. This may very well work in case of small towns where local network can do wonders. In small places everyone knows each-other and hence it becomes easy for one to get business through their local networks. Rapport works well in such cases, all you need to do is to have a nice rapport you’re your people around. Give them best of the services and they will leave you never for sure. As a wedding photographer, everyone wants same thing in wedding photography industry, the business and to get that you have to be little creative, optimistic, polite, customer centric. All the above mentioned pointers are just to help you increase your clientele and get more and more business. Same old style or methods of marketing or getting business might not work now, you need to VISUALIZE, SPECIALIZE, CONNECTIONIZE, PRIORITIZE and PUBLICIZE to grow in the industry.